A global account of the rise of civilization that is also a stunning refutation of ideas of human development based on race. Until around , b.c., all peoples were still Stone Age huntergatherers. At that point, a great divide occurred in the rates that human societies evolved. In Eurasia, parts of the Americas, and Africa, farming became the prevailing mode of existence when indigenous wild plants and animals were domesticated by prehistoric planters and herders. As Jared Diamond vividly reveals, the very people who gained a head start in producing food would collide with preliterate cultures, shaping the modern world through conquest, displacement, and genocide. The paths that lead from scattered centers of food to broad bands of settlement had a great deal to do with climate and geography. 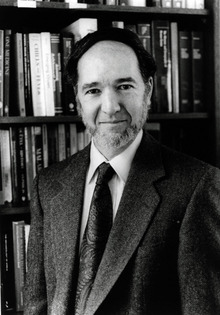 Jared Diamond is a professor of geography at the University of California, Los Angeles. He began his scientific career in physiology and expanded into evolutionary biology and biogeography. He has been elected to the National Academy of Sciences, the American Academy of Arts and Sciences, and the American Philosophical Society. Among Dr. Diamond's many awards are the National Medal of Science, the Tyler Prize for Environmental Achievement, Japan's Cosmos Prize, a MacArthur Foundation Fellowship, and the Lewis Thomas Prize honoring the Scientist as Poet, presented by Rockefeller University. He has published more than six hundred articles and several books including the New York Times bestseller "Guns, Germs, and Steel," which was awarded the Pulitzer Prize. Additional information about Dr. Diamond may be found at his personal website, www.jareddiamond.org.